Mälardalen University is one of Sweden’s largest institutes of higher education with more than 13,000 students. 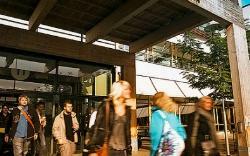 The university offers 65 programs and about 750 courses to Swedish and international students. Mälardalen University is located in the cities of Eskilstuna and Västerås, both pleasant campuses about an hour from central Stockholm. Mälardalen University is a relatively young university, established in 1977. In just a few years the University has developed from a regional university of technology into a broad academy and a powerful driving force in the region. Students benefit from modern and pleasant facilities and an experienced faculty. The University is organized in four schools, where all education and research is carried out. Research is an integral part of Mälardalen University. Cutting-edge research with strong international ties provides great further study opportunities for students and attracts leading experts in their respective fields. 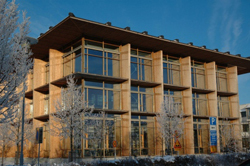 Many international students study at Mälardalen University, the University’s internationalisation efforts are co-ordinated by the International Division. The division is also responsible for the University’s exchange agreements and co-ordinates the Socrates program and other international education-related co-operation programs and projects. Find out more about Mälardalen University by filling in your details and the school will contact you. Have a look inside Malardalen University and what the university's current and previous students have to say about their time and what they've learned at the modern and prestigious Swedish school. Want to know more about Mälardalen University? Fill out the form and include any questions you have. This information will be sent directly to the school, and a representative will respond to your enquiry. The university exeperience is awesome. GSEEM is a very good master program, but the problem is that that every firm need experience and very few firm are willing to hire international student with no experience.